How had I never got around to buying a 'Death Cab for Cutie' album? This is so up my street it may as well be living next door. I think if anything the band name put me off more than anything. It kind of made me think they were a death metal band or something. I was very very wrong. This is a special album, the bands sixth, released in 2008 and I will be getting hold of all the previous recordings. It's indie, kind of a cross between 'Jimmy Eat World' and 'Explosions in the Sky', with shades of 'Teenage Fan Club' thrown in for good measure. Generally though this is get inside your head music. 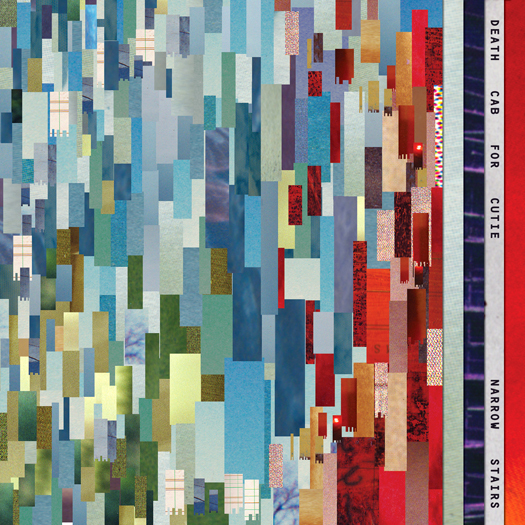 Ben Gibbard's voice is unspectacular but perfect for this kind of slightly off kilter indie. 'I Will Posses Your Heart' may now be my favourite song discovery through Cross Blogination, sad, slightly disturbing, and a truly beautiful four and a half minute introduction before there's any sign of the singing. It builds and builds slowly and elegantly over a gentle yet hypnotic guitar refrain and then develops into a song about unrequited love. Great emotional stuff with a slightly unnerving stalker theme to it that plays on your mind a bit after listening. The whole album is like that really, there's an underlying darkness behind the songs that I really loved. A sort of soft mournfulness that a band like the Editors would do well to listen to. Most of the tracks fold seamlessly into each other and the music is consistently intoxicating throughout. It's an album to listen to with headphones on and on my bus journeys it's felt like I've been in a different world. Songs like 'Your New Twin Sized Bed' whilst beautifully melodic also contain some of the saddest lines I've heard this year. Pretty yet sad. Good stuff. 'No Sunshine' hits that note too, although it's here I'm reminded of 'Jimmy Eat World' the most, with chiming guitars and up beat tone, but dig a little beneath the surface and the words are about growing up and long forgotten summers when the sun shone every day. It's been a while since I've listened to an album by anyone that I've felt so personally connected to. There's a lovely maturity to the words and a dark heart to the songs that I love. And it's all delivered with some great tunes. But there is hope here too, it's not a depressing album, just an honesty to the song writing. 'You Can do Better Than Me' is a great example of that. The song that follows is almost the best song here, only outdone by the aforementioned 'I Will Posses Your Heart'. 'Grapevine Fires' is a short story of a guy and his girlfriend picking up her daughter from school and watching a forest fire (my assumption) from a graveyard. Weird, strangely uplifting and a great song. This is an album to cherish, listen to alone and play repeatedly. For me, 'Death Cab for Cutie' are a potentially huge new discovery. 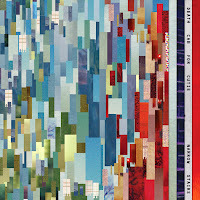 Which to the Death Cab fans probably sounds pretty lame but hey, I still love getting into new stuff and this was new for me. Album closer 'The Ice is Getting Thinner' is a wonderful ending. A gorgeously crafted tale of relationship ending. Sad, affecting and with beautiful words. Get this album at all costs. Best Cross Blogination album to date. No question. Now go see what Paul (@formulaic666) thought at Blog on the Motorway. The album was suggested to us by Joe Lee who is also a fellow blogger. You can find his blog here. Strangely enough it's called Grapevine Fires after the song. I guess he's a pretty big fan, I think I may have joined him.